Chattanooga USA Dance - Chattanooga USA Dance . . . Ballroom Dancing for Everyone! Chattanooga USA Dance is a social ballroom dance club that hosts social dance events on the second Friday of every month. It’s our mission to promote ballroom dancing in the Tennessee Valley and surrounding areas so whether you’re new to ballroom dancing or an experienced dancer, we’d love to have you! It doesn’t matter how old you are, what level you are, or if you have a partner. If you’re ready to dance, you’re ready for USA Dance! Event admission includes a one-hour beginning level group lesson, general dancing from 8:30-10:30pm, as well as light refreshments. 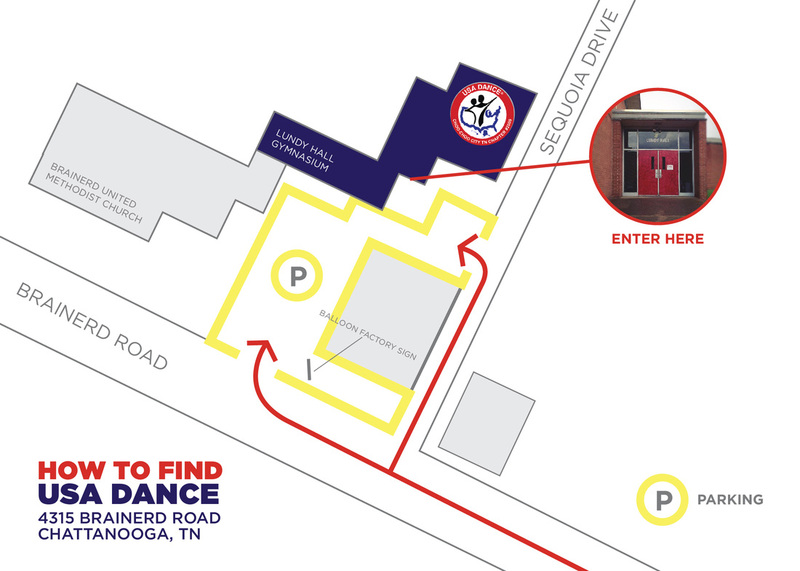 Chattanooga USA Dance is the local chapter of USA Dance Inc.